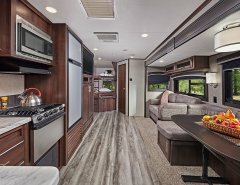 SHIPSHEWANA, INDIANA – It’s hard to miss: the all-new Venture Stratus is bright, brave and bold, with attention-grabbing looks and edgy interior stylings that stand out in the lightweight segment. 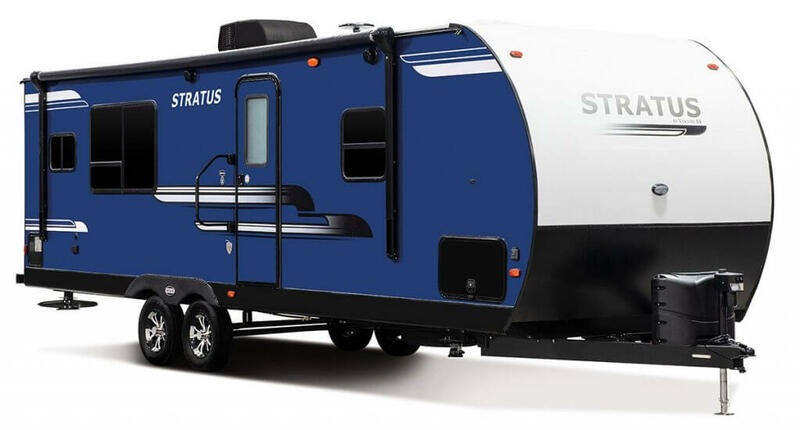 Unveiled at this year’s 2018 Open House to rave reviews, the Stratus is travel trailer eye-candy, in high-gloss shades of Victory Red, Indigo Blue, Aztec Grey or Polar White. 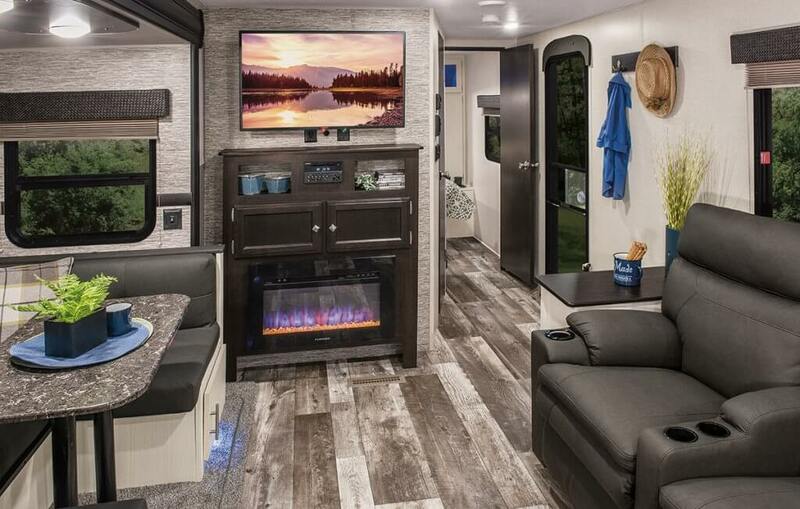 “Stratus features Lamilux 4000, which gives an exacting visual that’s common to high-end fifth wheels and motorhomes, not travel trailers,” said Dave Boggs, general manager. “It combines the advantages of reinforced fiberglass composite, with the lustrous look of aluminum.” For better resistance to ultraviolet light and weathering, the gleaming super-smooth surface is then sealed with a layer of gelcoat. The pleasant surprises continue inside, with Stratus designed to evoke a cool, urban vibe. The thoughtful blend of Alpine White and Dark Mountain Walnut woodwork is a nod to today’s mixed cabinetry residential trend. All floorplans feature a sizeable pantry, with half the models offering a full walk-in pantry. Other generous appointments include an ample eight-cubic-foot refrigerator and a residential 60” x 80” queen mattress upgrade. Creature comforts abound, literally: a doggie dish cubby and dual purpose Venture bottle opener/doggie tie down make it easy to road-trip with Rover. Venture RV, a division of KZ-RV, is headquartered in Shipshewana, Indiana. 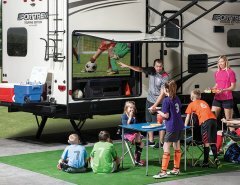 For more information concerning Venture RV and its lines of travel trailers, including Sonic, Stratus and SportTrek, please visit www. 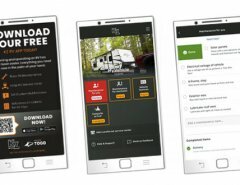 Venture-rv.com, or call (888) 829-6320.